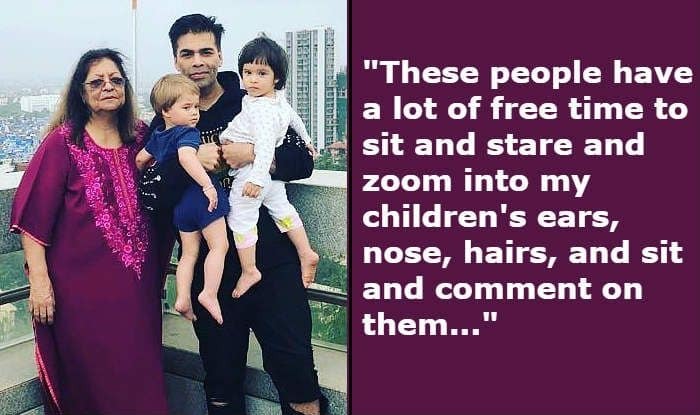 Karan Johar reacts to trolls wanting to know why his kids don't look Indian, and how he manages to be both father and mother to them. Filmmaker Karan Johar is a doting father to his kids Yash and Roohi Johar. The popular director opened up on the comments his posts about his kids receive on social media. Karan was present on a chat show with Arbaaz Khan when he reacted to one particular comment in which the user said he had a foreigner as his kids’ surrogated mother so that they don’t look Indian. Karan read out the comment and said that the ones making such comments know nothing about surrogacy and how the process works.